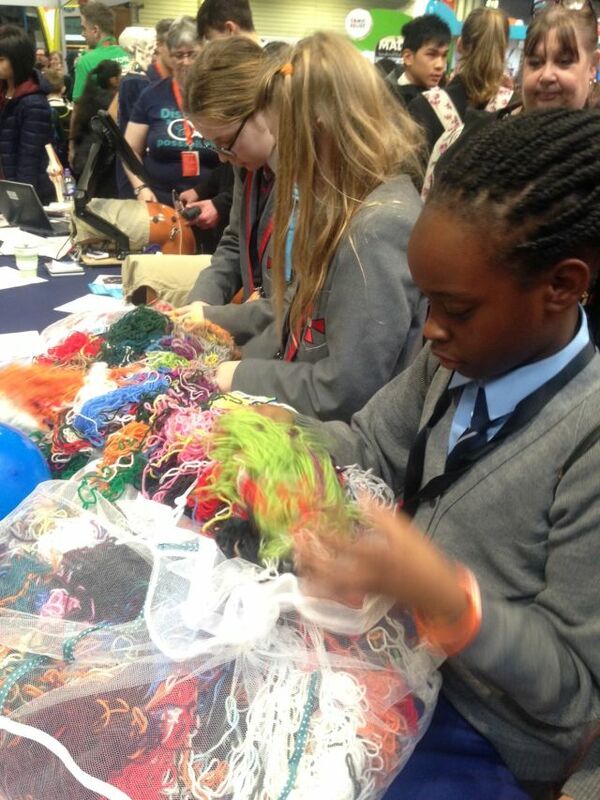 Researchers from NDORMS, the Department of Oncology and Wellcome Centre for Human Genetics attend the Big Bang Fair 2018 to inspire the next generation of scientists. 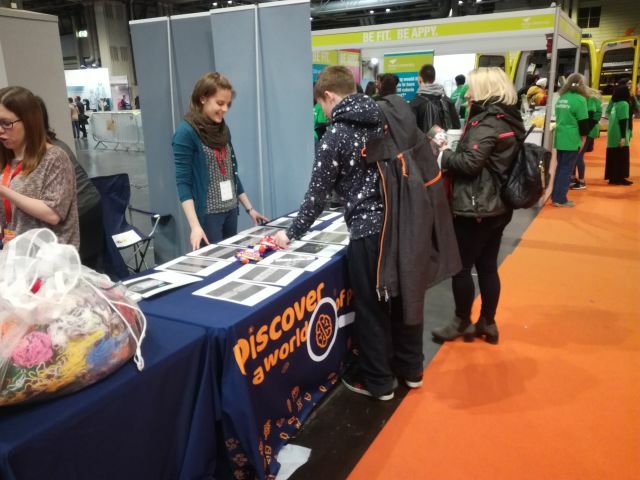 Last week three departments and units across the Medical Sciences Division - NDORMS, the Department of Oncology, and the Wellcome Centre for Human Genetics - attended the Big Bang Science Fair, the largest celebration of science, technology, engineering and maths (STEM) for young people in the UK. With an audience aged mainly 7-19, the event was a fantastic opportunity to educate and inspire the next generation of scientists. A variety of activities were used to engage visitors with the fantastic world of medical science. Researchers from the Kennedy Institute of Rheumatology (NDORMS) used a giant model of a gut wall, complete with magnetic plush bacteria and viruses, to talk about the microbes in our digestive tract and how important they are to our health, while children were also offered the chance to try keyhole surgery on a model knee. 'DNA Damage Wool Bags' from the Wellcome Centre for Human Genetics offered an insight into the size and complexity of our DNA; visitors had 30 seconds to rummage through miles of DNA wool to find the different kinds of damage DNA undergoes. A researcher from the Oxford Vaccine Group (Department of Paediatrics) also helped children to understand the complexity of DNA by showing them how to decode strings of DNA sequences to uncover the hidden messages. Finally, Oncology researchers were on hand with chocolate CT scans to teach visitors about the part X-rays and CT scans can play in diagnosing cancer. Congratulations to all researchers who took part!